Postpartum Hemorrhage is consistently one of the top three causes of maternal mortality and is often the leading cause of maternal death; even in developed countries. Studies suggest that 73-93%⚹ of bleeding deaths are preventable. Early and proper intervention is key. 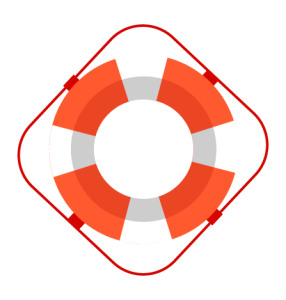 A rapid-response system is critical. 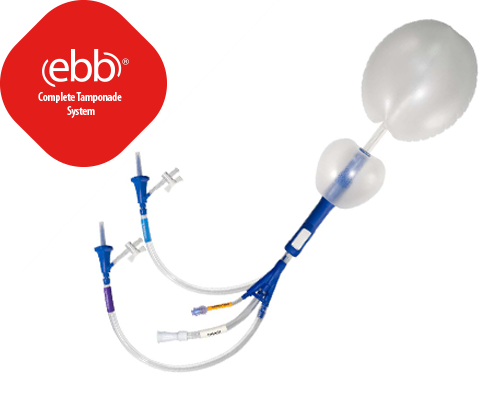 ebb provides a complete tamponade solution to the emergency of postpartum hemorrhage. The malleable balloon material allows the vaginal balloon to conform to the patient’s anatomy better than silicone. The uterine balloon has a fill capacity of 750 mL, and literature suggests that >500 mL may be required to achieve tamponade in 45%⚹ of cases. 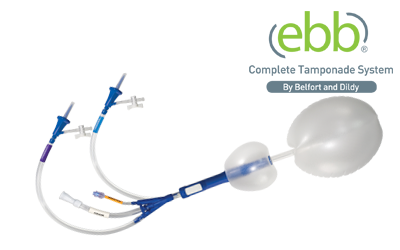 The vaginal balloon anchors the uterine balloon, reducing balloon expulsion while potentially treating vaginal bleeding if present. The maximum recommended fill volumes are 750ml for the uterine balloon and 300ml for the vaginal balloon. These volumes may be exceeded if clinically necessary. NOTE: Fill volume ≤ 500ml is usually sufficient for tamponade.1Initial experience with a dual-balloon catheter for the management of postpartum hemorrhage. Dildy GA, Belfort MA, Adair D, et al. Am J Obstet Gynecol. 2014;210:136.e1-6.